The following terminology applies to these Terms and Conditions, Privacy Statement and Disclaimer Notice and any or all Agreements: “Client”, “You” and “Your” refers to you, the person accessing this website and accepting the Company’s terms and conditions. “The Company”, “Ourselves”, “We” and “Us”, refers to our Company. “Party”, “Parties”, or “Us”, refers to both the Client and ourselves, or either the Client or ourselves. All terms refer to the offer, acceptance and consideration of payment necessary to undertake the process of our assistance to the Client in the most appropriate manner, whether by formal meetings of a fixed duration, or any other means, for the express purpose of meeting the Client’s needs in respect of provision of the Company’s stated services/products, in accordance with and subject to, prevailing United States and Texas law. Any use of the above terminology or other words in the singular, plural, capitalisation and/or he/she or they, are taken as interchangeable and therefore as referring to same. Cash or Personal Checks with Bankers Card, all major Credit/Debit Cards, Bankers Draft or BACS Transfer are all acceptable methods of payment. Our Terms are payment in full within thirty days. All goods and services remain the property of the Company until paid for in full. Monies that remain outstanding by the due date will incur late payment interest at the rate of 2% above the prevailing base rate on the outstanding balance until such time as the balance is paid in full and final settlement. We reserve the right to seek recovery of any monies remaining unpaid sixty days from the date of invoice via collection agencies and/or through the small claims court. In such circumstances, you shall be liable for any and all additional administrative and/or court costs. Returned checks will incur a $35 charge to cover banking fees and administrative costs. In an instance of a second Returned checks, we reserve the right to terminate the arrangement and, if agreed to, we shall insist on future cash transactions only. Consequently, all bookings and/or transactions and agreements entered into will cease with immediate effect until such time as any and all outstanding monies are recovered in full. 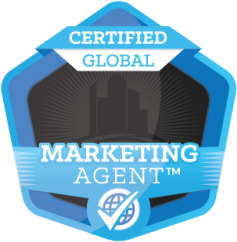 This Company’s logo is a registered trademark of Global Marketing Agent™ in the United States and other countries. The brand names and specific services of this Company featured on this web site are trademarked. This company is registered in The United States of America and Texas, located at 3003 Carlisle Street #424 Dallas, Texas 75204. The laws of the United States and Texas govern these terms and conditions. By accessing this website and using our services/buying our products you consent to these terms and conditions and to the exclusive jurisdiction of the Texas courts in all disputes arising out of such access. If any of these terms are deemed invalid or unenforceable for any reason (including, but not limited to the exclusions and limitations set out above), then the invalid or unenforceable provision will be severed from these terms and the remaining terms will continue to apply. Failure of the Company to enforce any of the provisions set out in these Terms and Conditions and any Agreement, or failure to exercise any option to terminate, shall not be construed as waiver of such provisions and shall not affect the validity of these Terms and Conditions or of any Agreement or any part thereof, or the right thereafter to enforce each and every provision. These Terms and Conditions shall not be amended, modified, varied or supplemented except in writing and signed by duly authorized representatives of the Company.